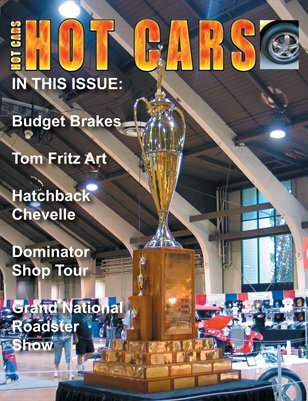 In this issue we take you to the "Grand Daddy" of all car shows, The Grand National Roadster Show! Terry Lewis' trick Chevelle is our feature car. Tom Fritz art work. We spend a day with "BOB" our project car (and a few close friends), and we do a "Budget Brake Upgrade".